Ovarian cancer is an uncommon disease and doesn’t cause symptoms in early stages. Ovarian cancer is not a particularly common disease. However, unfortunately, as a rule it does not cause symptoms in its early stages. As a result women often present to the doctor quite late on, which makes treatment more difficult. Consequently, there has been a great deal of interest in the development of a test that could detect early ovarian cancer in apparently healthy women who have yet to show any signs of the disease. Examining asymptomatic women in this context is a form of screening. Possible tests for this include a blood test called CA 125 and vaginal ultrasonography. Irrespective of the test used, the problem with ovarian cancer screening is that there is currently no information to tell us whether early detection of ovarian cancer alters the final outcome from the disease. Logic may suggest that this is likely – but it has yet to be proven. In the absence of this information it is not generally advised that the general population with no risk factors from the disease undergo screening. Probably the most potent risk factor for the development of ovarian cancer is a family history of the disease. There are also some suggestions that some fertility drug treatment may play a role. For women at increased risk of the disease it is thought reasonable to offer screening. For women with a strong family history of cancer it is often useful to consult with a clinical geneticist to accurately evaluate the level of risk. At OMNI we can organise a consultation with a consultant clinical geneticist for an evaluation of risk. 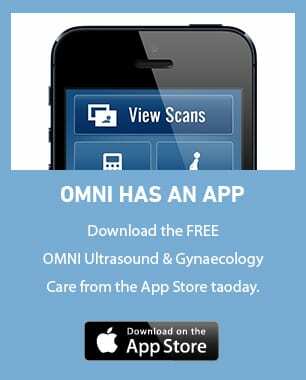 We use vaginal ultrasonography to visualise the ovaries and screen for ovarian disease. Ultrasound will detect the majority of early stage ovarian cancers, however other types of benign cysts will also be visualised. We can also take blood to measure the level of the tumour marker CA 125 which can also be helpful in some cases. If an ovarian cyst is found on ultrasonography this does not necessarily mean there is a serious problem. Often such cysts can be monitored and may not require intervention. Should a persistent ovarian cyst be detected at screening which has features suggesting it may be an early cancer, then surgery with an accredited surgeon trained in Gynaecological Oncology would be advised.